This bread breaks all the rules about baking bread. No grains or yeast. It is gluten free and grain free, full of protein and oh yes, it is quite good. This bread can be used for sandwiches or toast – it is wonderful with a bit of honey for breakfast. You can find farmers cheese in the dairy section, also known as dry curd cottage cheese. It is very low in lactose so it might be tolerated by those with dairy sensitivities. If you are trying to stay away from grains, but still want to have a slice of bread once and awhile – give this a try, I think you will like it. I used Trader Joes almond meal flour which grinds whole almonds with their skins, If you use blanched ground almond flour such as Bob’s Red Mill it will have a more refined appearance and texture. 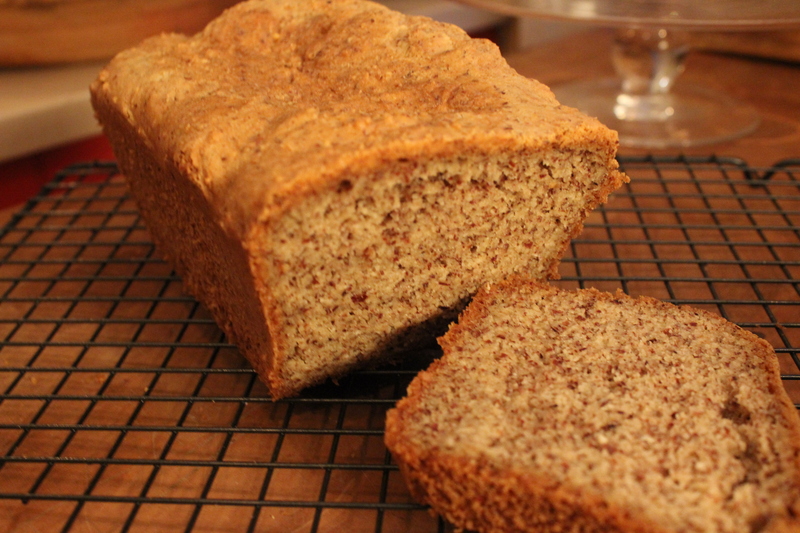 This entry was posted in Recipes and tagged almond, bread, Breakfast, Gluten-Free, grain free, sandwich bread. Bookmark the permalink.